EXCELL, a global manufacturer and marketer of precision scales, announced today that it completed testing on the IP68 Waterprrof Scale Series - ESW/ELW Plus and received the National Type Evaluation Program (NTEP) Certificate of Conformance for Weighing and Measuring Devices. 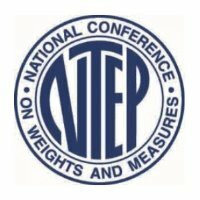 The NTEP was created in cooperation with the National Conference on Weights and Measures (NCWM) and National Institute of Standards and Technology (NIST) to provide a one-stop evaluation process that satisfies the initial requirements for the introduction of weighing and measuring devices in the U.S. The certificate, No. 17-100, covers model ESW Plus & ELW Plus scales with both wired and wireless charging capabilities. This new certification makes EXCELL the only IP68 Waterproof scale manufacturer that can offer certification for the wireless charging capability. 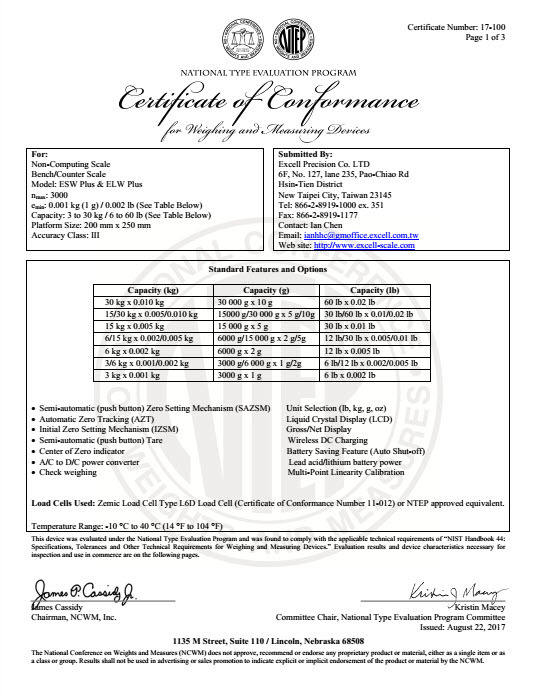 "We are proud to include NTEP Certificate of Conformance for our IP68 Waterproof Scales as a demonstration of our quality standards and dedication to progress in EXCELL's excellence. The US customers can enjoy our innovative, one-of-a-kind IP68 waterproof scales now." said Jeff Chien, Vice President of Global Sales & Marketing at EXCELL. 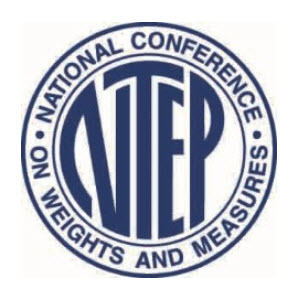 NTEP tests new devices to a single set of standards, as outlined in Handbook-44, and the results are recognized by most states as well as local weights and measure jurisdictions. Handbook-44 provides recommended specifications and tolerances for testing weighing and measuring devices, providing all jurisdictions from states to counties, cities and localities a uniformity of weights and measures laws and methods of inspection. Products with a NTEP Certificate of Conformance assure these jurisdictions that devices being sold in their area are capable of meeting the requirements of fair trade.